Hello everyone! 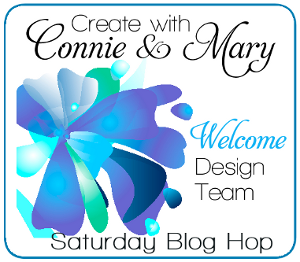 It's time for another Create with Connie and Mary Saturday blog hop! This week we are featuring Shadow Box cards! I am your stop after the super talented Debbie Henderson! Back panel is Basic Grey cut at 4 1/4" x 5 1/2" then scored on both short ends at 1/2" and 1"
Cut a Whisper White panel that measures 4 1/8" x 3 3/8"
Take the complete tour and be inspired! 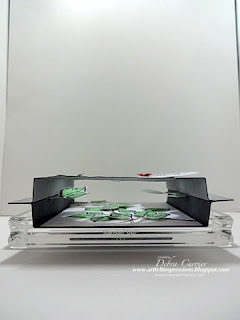 Time to send you on to see what the super talented Connie Babbert has created! Thanks for stopping by and have a super day! 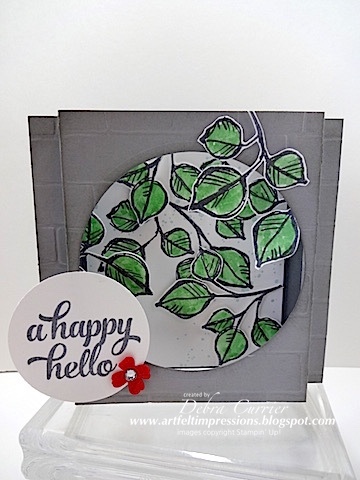 Wow, great with all of the leaves! Great card! Loveethe dimension you gave it.TFS!